The STIHL iMow® RMI 632 P robotic lawn mower is a self-mowing lawn mower that mow up to one of an acre of grass to give you more free time. 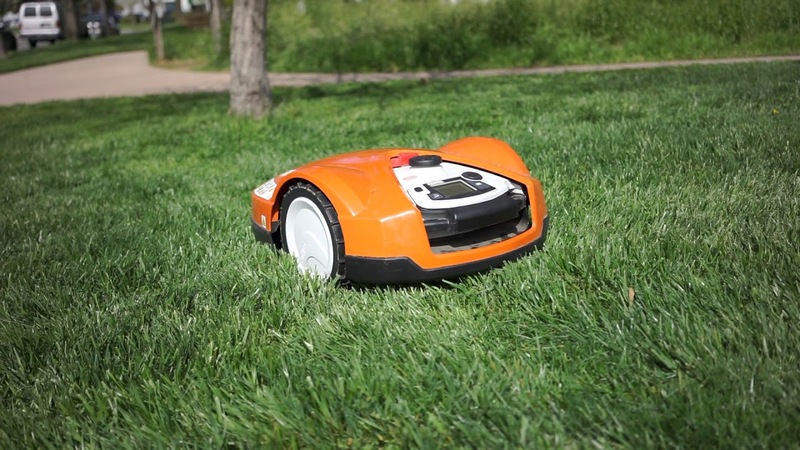 The STIHL RMI 632 P iMow robotic lawn mower is perfectly at home on small lawns, around pools and even yards with steep slopes or a lot of corners. It can mow lawns of up to a quarter acre in just a few hours. Once installed by Donegan's professional robotic mower team, the iMow cares for your lawn automatically and according to your desired mowing plan. Removable control panel – offers easy and comfortable programming, without having to bend down to reach the controls. Average Mowing Time (Per Battery Charge): 150 min. Average Charging Time: 60 min. Weight (Including Battery): 29 lbs. Dimensions (L x W x H): 29 x 21 x 10.5 in.